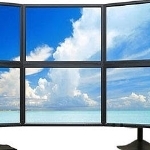 Which monitor best meets your needs? Need to focus on a task without all those other open windows distracting you? On today’s Tekzilla Daily, Veronica shows you how to use CinemaDrape to close out everything except your most important task.